Machelle is passionate about healthy living. She knows from her own experience that making your health your number one priority is the foundation for having the vitality to live life to the full. It is her great pleasure to have a career working with you to better your health and vitality. She was inspired by Traditional Chinese Medicine (TCM) twenty years ago, when she turned her own health around through a combination of supplements, improved diet, herbs and acupuncture. Today, she enjoys sharing her knowledge and enthusiasm through educating others on diet and lifestyle choices while treating them with herbs and acupuncture. She uses these techniques to help individuals overcome their acute and chronic health challenges. 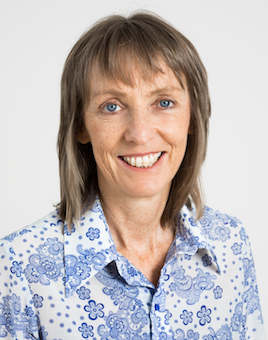 Machelle is also experienced in assisting women through pregnancy, treating children and supporting couples for natural fertility management including IVF acupuncture support. Machelle’s training includes studies at The Sydney Institute for Traditional Chinese Medicine, Leichhardt. She has completed internships at Guan An Men Hospital Beijing and Jiaxi TCM University Nanchang. Machelle holds a Diploma in Traditional Chinese Medicine and a Certificate in Hemaview (Live Blood) Analysis. She continually updates and expands her knowledge by regularly attending evidence-based seminars. Machelle uses TCM theory and its unique diagnosis to provide individualised treatments. She often tailors her treatments to work with other health practitioners and highly regards the preference of her patients in combining various approaches to health. She believes that a combination of TCM and western medicine can help individuals achieve optimum health. From her Acupuncture Maroubra practice she works alongside other highly regarded complementary practitioners.